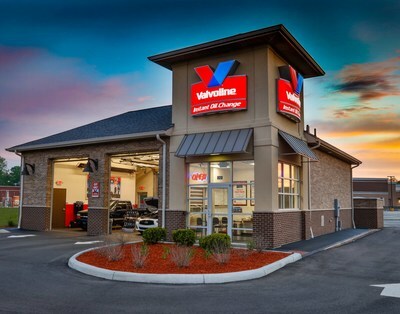 LEXINGTON, Ky., Aug. 8, 2018 /PRNewswire/ -- Valvoline Inc. – a leading worldwide supplier of premium branded lubricants and automotive services – announced today its franchisee, Henley Enterprises, Inc., has opened a new Valvoline Instant Oil ChangeSM (VIOC) service center in Salem, Massachusetts. A core element of Valvoline's strategy is to accelerate the growth of its industry-leading quick-lube model, which is all about delivering a quick, easy and trusted experience for every customer, every day. Henley Enterprises Inc. operates 45 of the 53 VIOC quick-lube locations in the greater Boston area. The service center is at 10 Paradise Road in Salem. No appointments are necessary.